Each day, 175 Americans tragically lose their lives to opioid overdoses and thousands more struggle with opioid dependency. The growing epidemic crosses virtually all demographics, and with more than half a million related deaths recorded in the U.S. between 2000 and 2015, the crisis has officially been declared a public health emergency. The Matassini Law Firm, P.A. offers free consultations and is currently screening potential cases for litigation. 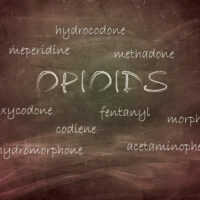 Opioids are prescription narcotics possessing properties similar to opium and heroin. While opioids can ease pain, they also can create an addictive euphoric high in users. With evidence that the pharmaceutical industry played a key role in causing the opioid epidemic through its alleged deceptive marketing of highly addictive prescription painkillers to treat common chronic pain conditions, state attorneys general, local governments and other public entities nationwide have championed investigations and litigation to seek accountability and remedies. Purdue Pharma, Endo, Janssen and other drug manufacturers are facing dozens of civil actions currently pending in state and federal courts. The defendants in many suits manufacture market and sell prescription opioid pain medications, including brand-name drugs: OxyContin; Hysingla ER; Nucynta, Actiq; Opana/Opana ER; Percodan; and Percocet. U.S. Attorney General Jeff Sessions will appear Wednesday in Tampa to address drug trafficking and the opioid epidemic, the Justice Department said Monday. Sessions will address the issues during a midday appearance at the U.S. Attorney’s Office in Tampa. The visit comes as Florida lawmakers and Gov. Rick Scott also consider steps to try to reduce opioid addiction and overdoses that have plagued the state in recent years. The state Senate Rules Committee on Wednesday is scheduled to take up a bill (SB 8), filed by Rules Chairwoman Lizbeth Benacquisto, R-Fort Myers, that would make a series of changes aimed at curbing the epidemic. Contact board certified Tampa trial lawyer Nicholas G. Matassini and The Matassini Law Firm, P.A. for a free consultation if you or a loved one have been harmed by opioids and the pharmaceutical industry. Nicholas G. Matassini and Nicholas M. Matassini are AV Rated by Martindale-Hubbell. Email any questions or a request for case review to ngm@matassinilaw.com.